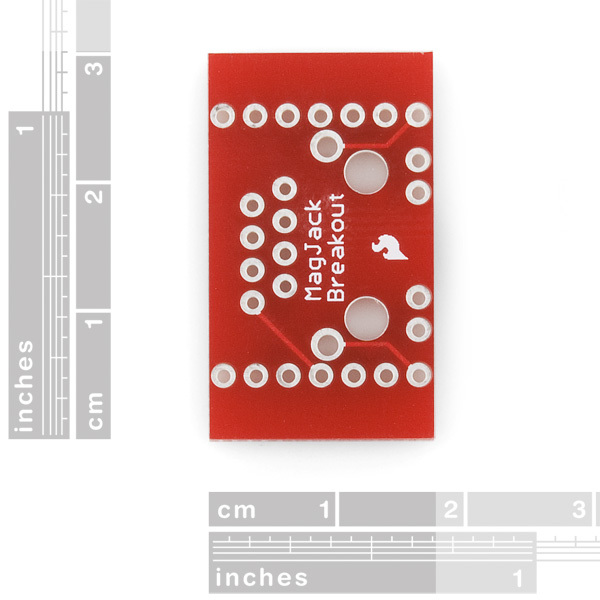 If you need to get your MagJack into a breadboard, this is for you. This board exposes all pins, LEDs, and housing with breadboard friendly spacing. 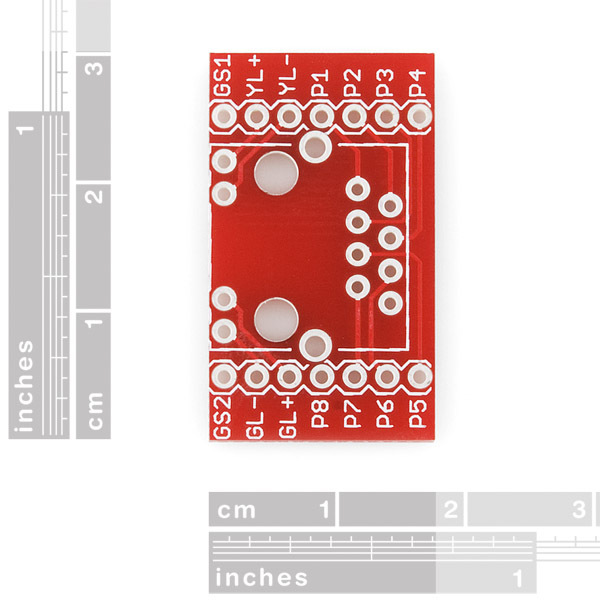 It creates problem on breadboard...it should be redesigned to all pins at one side.. I think it was designed to straddle the middle of a breadboard. 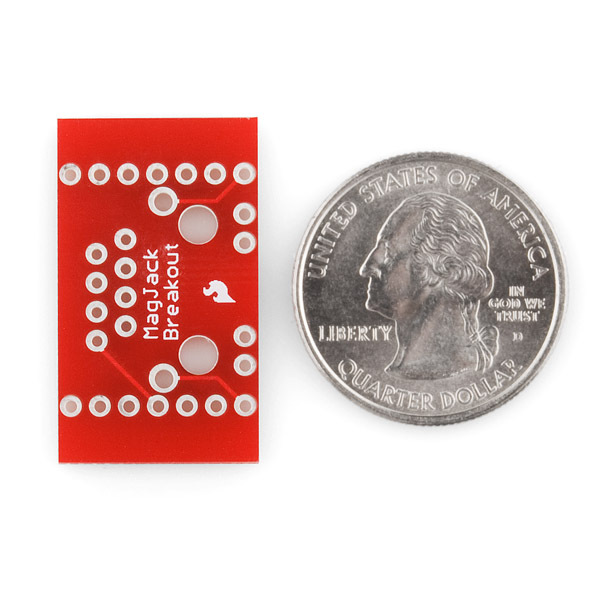 Would I be able to cut this and get the same functionality as http://www.sparkfun.com/products/716 at half the price? 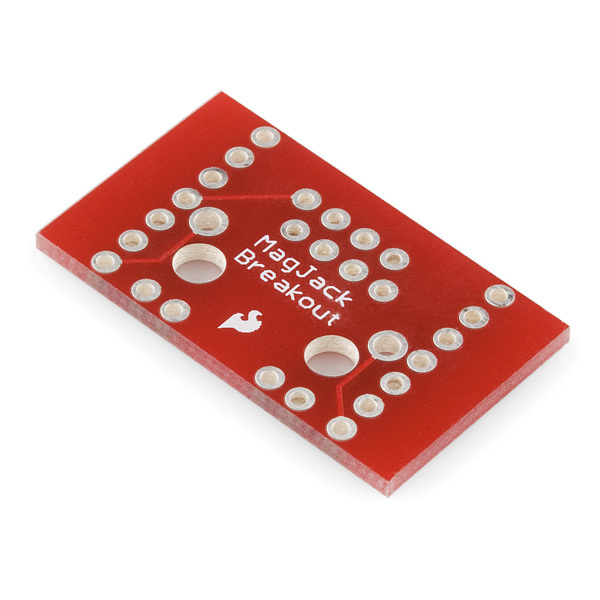 this is for the jack that has magnetic(transformers) built in to protect the chip. 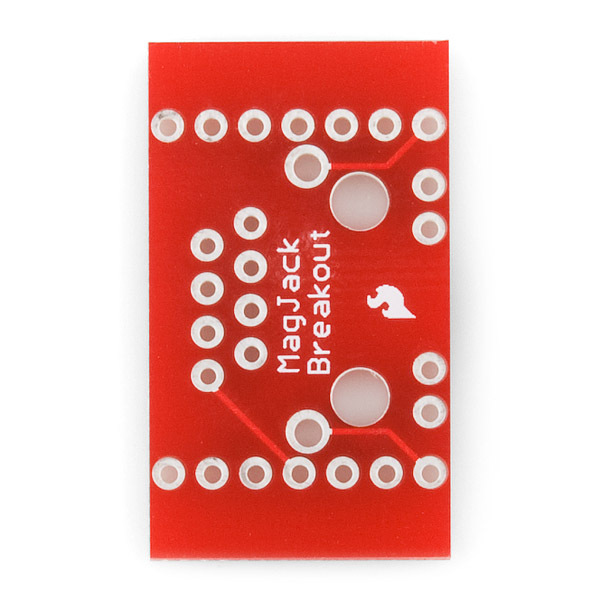 This board works with the mag jack. The board you referred to works with a standard jack with no magnetic. As far as I know the pin out is spaced differently. 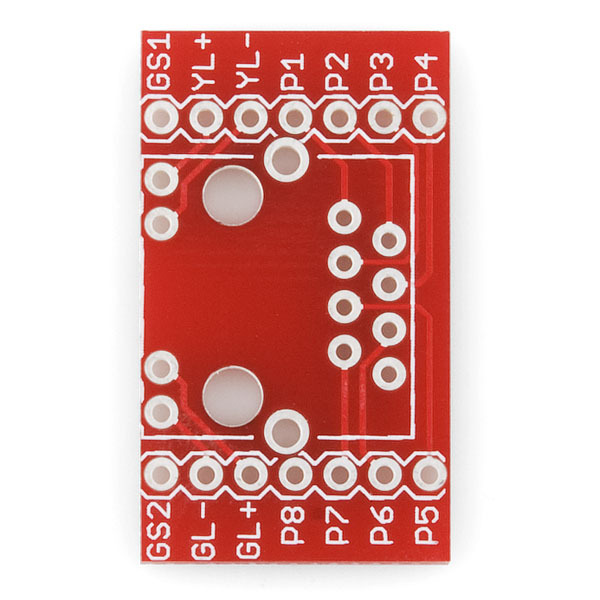 I have been successfully using this with an mbed, but what are the 'gs1' and 'gs2' pins? My guess is they have something to do with a ground (shielded ground?) but the RJ45 works without those pins. Can anyone tell me what they are? Yes, they are the shield over the connector. Connect them to ground. It's likely to work just fine 100% of the time without them, though. I have ordered some of these, but I received other circuit. What I received came with two sm leds, a couple of resistors and caps, and does not fit the magjack http://www.sparkfun.com/commerce/product_info.php?products_id=8534 pins. It only breaks Vcc, Gnd, Tx and Rx. Ditto comment about pins along one side. Any hope for a new build of these?